#97496 at North Freedom, April 8, 2000. Paul Swanson photo. 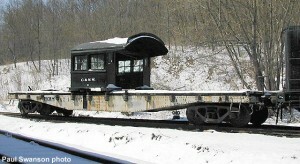 The Santa Fe received this flat car in 1924 from an unknown builder. At an unknown date it was transferred to the American Association of Railroads and eventually ended up at their test facility in Chicago. It was donated to Mid-Continent in 1996 with the closing of that facility. 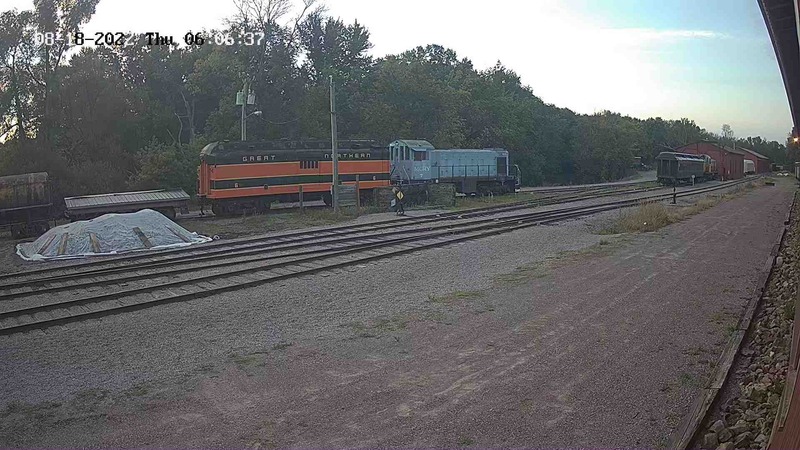 It was delivered to North Freedom along with diesel locomotive #7 and transfer caboose GTW #75050 in July of 1996. It is presently used for storage of large parts. The AT&SF, more commonly known as simply the “Santa Fe,” began in 1860 as a fledgling road connecting its two Kansas namesake towns. 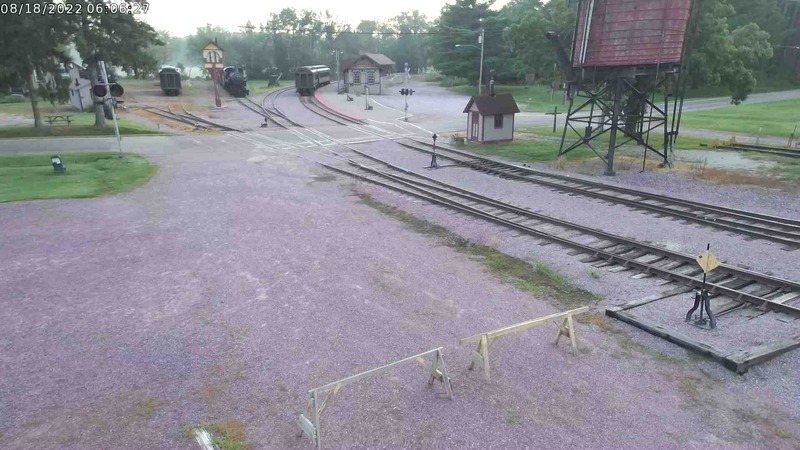 Over the years, it expanded greatly to become one of America’s most famous railroads. In 1880, Albuquerque, New Mexico was reached. Three years later Denver was conquered, and by 1888, it stretched from the west coast to Chicago. System mileage grew to over 13,500 miles. The Santa Fe was influential in promoting the culture of the Southwest and Native Americans by romanticizing the Southwest and promoting travel to the area, via Santa Fe’s classy crack passenger trains of course. The Fred Harvey chain of hotels, restaurants, and lunch counters served the millions of travelers. In later years, the AT&SF became known for its crack passenger train “Super Chief,” running from Chicago to Los Angeles, and the “warbonnet” paint scheme (a very pleasing combination of red, yellow, and silver immortalized on model trainsets). In 1995, Santa Fe merged with Burlington Northern to become the BNSF, the second largest rail system in the U.S. with over 33,000 miles of trackage. At that time, Santa Fe was one of the oldest intact rail companies still in existence in the United States.